What is The Jedi Assembly? The Jedi Assembly is an online Fan-Based group for Star Wars Jedi costuming enthusiasts. What exactly does the "No minors" policy mean? The No Minor’s policy means that, unless you are 18 or older, you cannot participate in members-only functions such as group meetings or be recognized in our member’s area. If you submit a membership request to the Jedi Assembly and you are under the age of 18, that request will be denied and you will be required to re-submit your application upon your 18th birthday or anytime thereafter. Anyone, ages 13 and over may post on the Message Boards and talk to whomever they like. As always, caution is warranted when talking with anyone over the Internet. The public does not have to be a member of the Assembly to make Star Wars Jedi costumes or attend conventions. Anyone can socialize and talk to whomever they wish at a convention. Minors are advised to use caution when giving out personal details such as Instant Message usernames and/or residence locations; however, the Jedi Assembly does not have any legal might to counteract actions that may be taken by minors. What are the Assembly ORDERS? Assembly ORDERS are regions of the country that members are placed in when they join. Further explanation of the Orders can be found on our Message Board and on our Charter page. Why don’t you allow Role Playing? At one time we did allow RP. After much thought and extensive debate, however, the Jedi Council decided against role-playing within our club, as it was starting to blur the line between Jedi costuming and reality. I’m a member of the Assembly and I have my own website. Is there an Assembly link button that I can display on my site? Yes, there is. You can visit our LINKS page to obtain an approved button to place on your site. All we ask is that you do not hotlink the button and to let us know when and where you display one. I’m a member of the Assembly; can I print out my own business cards and/or flyers to hand out where I live? No. Only Jedi Council members may design and print business cards and flyers for Assembly use. If you have a need for either of these, please email a Jedi Council member for instructions on how to receive them. If I have a suggestion for the website or message board, what do I do? Feel free to email all concerns, questions, or comments to: Leda Em-Borr (CO). Please visit the JOIN US page. Also, please remember that you MUST be at least 18, you must submit your date of birth and you must have an approved Jedi costume with a full- length picture to have your membership request reviewed for approval. Who can Join the Assembly? Anyone, age 18 or over who has a Jedi costume that adheres to the Jedi Code in regards to costuming requirements can join. This costume can be from any of the SW movies or what has been written about in the SW Expanded Universe and Clone Wars cartoon series. No Fallen-Jedi or Sith costumes will be accepted. Costumes must consist of more than a house-robe and flashlight. Please see our Jedi Code in regards to our complete costuming requirements. The Jedi Assembly links page will guide you to some very helpful websites. Please visit them for Jedi costuming hints and tips or visit our Message Boards for more personal costuming advice. Why can only Jedi costumers join? There are many exceptional Star Wars costuming groups on the Internet that welcome Star Wars costumers from around the world. The Fighting 501st Legion of Stormtroopers and The Rebel Legion are the two most well known. This Assembly is Jedi exclusive. If you have either a Stormtrooper/Imperial/Dark-Jedi/Sith costume or a Rebel costume, then we invite you to check out the above-mentioned websites listed on our links page. I want to join, but I don’t have a costume. All members of The Jedi Assembly must possess a Jedi costume. Feel free to join our message boards as they offer great tips and ideas on creating your own Jedi costume. I want to join, but I am a minor. Although minors (age 13-17) cannot become official members, they are allowed post on our Message Boards; however, a minor cannot participate in members-only functions such as group meetings or be recognized in the Assembly’s member’s database. Anyone over the age of 13 can post on the Message Boards and talk to whomever they like. 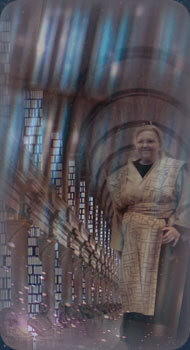 I am a member of another costuming group; can I still join The Jedi Assembly? You certainly can! All are welcome here as long as you eventually have a Jedi costume. Remember, minors are not allowed. Why do I have to have a Star Wars sounding name? All members are asked to have a Star Wars sounding name because it adds “flavor” to the group and enhances the “character” of your costume. Why can’t I use my MB name? Members must use a Jedi sounding name to go along with the theme of our group which is Star Wars. Most common message board names do not convey a Jedi style name; however, many of our Assembly members use their Jedi name on the message board. I submitted my application, but still haven’t heard anything. What gives? Be patient. Sometimes Darth Real-life takes hold and delays the membership request reviews, but rest assured that we will respond as soon as possible. I have a Jedi costume that is not considered CANON. Can I still join? Yes. As with any costume, it will be reviewed by the Jedi Council once submitted. I want to use the color red for my blade color, either rotoscoped onto my photo or with my lightsaber prop. Is that permissible? The red saber color usually connotes the image of the Sith and therefore will not be allowed. However, a red colored saber blade may be used at official TJA or LucasFilm events in the recreation of the following costumes: Mara Jade, Luke / Leia from the Dark Empire comics, and Adi Gallia. Any members with those exact costumes will be allowed to have a red bladed lightsaber. Do you own the MB? The Jedi Assembly message boards are owned and run by ProBoards. We subscribe to ProBoards MB service for our online meetings and conversations. I have a problem on the MB, who do I turn to? First, check the FAQ listed on the message board for tips on using the MB. If you are still having trouble, email or ask Message Board Administrator for help. Who is the Assembly Jedi Council? Leda Em-Borr, Nova Darklighter and Bouri-Plwel. What do they do for the Assembly? The Jedi Council makes the critical decisions for Assembly members and the organization. Council duties include running the Assembly message board, designing logos and graphics, giving costuming advice, being liasons between costuming groups, designing the Assembly newsletter and being general advisors to our Commanding Officer, Leda Em-Borr. Assembly Jedi Council members are held to a standard that includes being involved extensively on our Assembly Message Board (as time permits) with advice being shared and questions being answered in a timely fashion, maintaining an active email account and checking it daily (when possible) to keep up with Assembly business emails, and abiding by all rules set forth in our Assembly Jedi Code. A council member must agree that when these rules are not followed and sufficient warning has been given, Leda Em-Borr can terminate that position at will. How can I become a member of The Jedi Assembly Jedi Council? Basically, the CO and other Council Members look for an "official" member who exhibits creativity, dedication to the group and who has the ability to handle tasks if offered. He/she must have been an active member for at least one year’s time before being considered for any official position of authority at The Jedi Assembly.